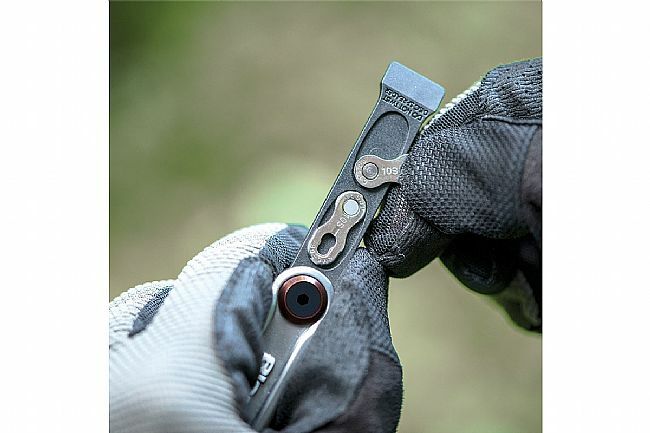 The Tradesman Multi-Tool from Blackburn features lightweight and compact construction so it can easily fit in a pocket or saddle bag and be forgotten until it’s needed. For easier access to tricky bolts, the tools feature an ergonomic L-shaped design. 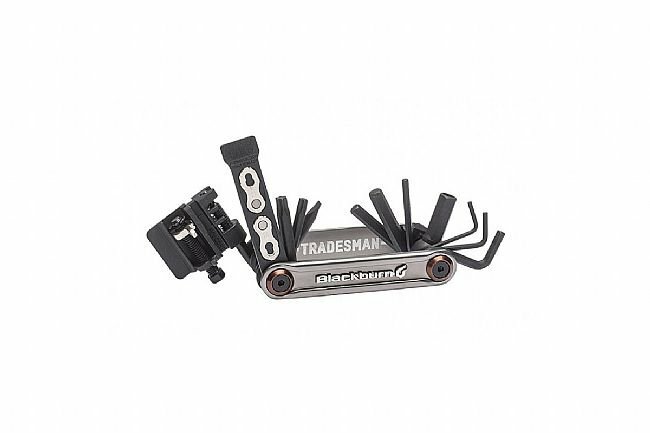 The Tradesman Multi-Tool is uniquely equipped with a quick-link splitter that’s compatible with 12-speed and fewer gears and a disc pad spreader that will fix drag if the brake pistons get stuck. 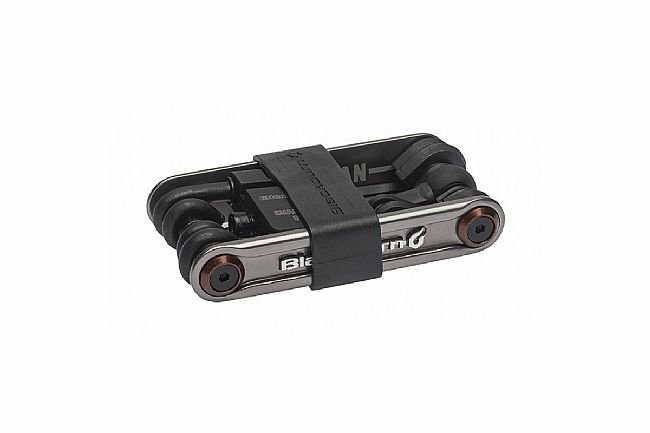 For your convenience, this multi-tool has integrated storage for a spare quick link so there’s no time wasted dredging the depths of pockets and bags for an elusive missing half. Furnished with all the essential hex and Torx bits ‒‒ T25 and T30; 2, 2.5‒6, and 8mm allen bits; and a flathead screwdriver ‒‒ this multi-tool has everything that’s needed for repairs and adjustments on-the-go. 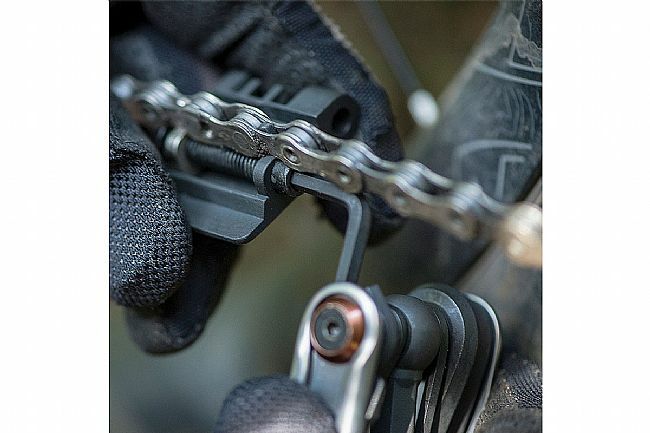 Quick link chain tool compatible with 12-speed and fewer gears. Included bits: T25 and T30; 2, 2.5‒6; and 8mm allen. Great tool, the valve core tool came in handy the day I got it. Got it mostly for the quick link splitter link tool and overall I really like the tool. It is heavy, but that is ok on my town and commuter bikes.